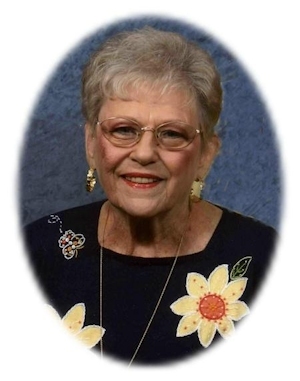 Obituary – Morrow, Lois Ann “Sandy” (Groom) « Perry High School Alumni Association, Inc.
﻿Home Room Secretary 53-54, 54-55, Home Room Treasurer 51-52, Band 51-55, Student Council 51-52, Glee Club 51-55, Class Assemblies 51-52, 5455, Junior Play 53-54. Lois Ann “Sandy” Morrow, 72, of Perry, Oklahoma, the daughter of Loren M. Groom and Agnes Mathis Cook went to be with her Lord and Savior on Monday, April 20, 2009 at Perry Memorial Hospital. 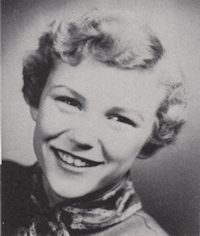 Born July 20, 1936 in Lucien, Oklahoma, Lois Ann lived her early years in Covington, Oklahoma and Hosington, Kansas. Lois Ann earned the nickname Sandy when very young and many people thought this was her given name. Sandy started school in Perry in the third grade, graduating in 1955. She worked for the telephone company for two years before moving to Wichita. She was a member of the First Christian Church where she was baptized on April 25, 1948. Sandy and Paul Morrow were married on December 22, 1956 at the First Christian Church in Perry, Oklahoma, and unto this marriage one daughter, Vandalyn Jo was born. Sandy was active in numerous organizations in her lifetime, but her favorite, in her later years, was the Perry High School Alumni Association. She was on the Alumni Board and was an avid volunteer. Sandy enjoyed putting together picture albums of her family, bird watching, especially humming birds, collecting bird houses, decorating her home and displaying her collection of music boxes given to her by Paul. She was especially proud of her daughter and granddaughter of whom she loved and cared for with all her heart. Funeral services will be 2:00 p.m. Thursday, April 23, 2009 at the First Christian Church. Rev. Martin Foster will officiate. Interment will be in Grace Hill Cemetery. Services are under the direction of Brown-Dugger Funeral Home. The family will receive friends from 6:00-8:00 p.m. Wednesday, April 22, 2009 at Brown-Dugger Funeral Home. Memorial contributions may be made in her name to the Oklahoma Blood Institute, Development Department or the First Christian Church in care of Brown-Dugger Funeral Home, 1010 N. 7th Street, Perry, Oklahoma 73077. Sandy is survived by her husband, Paul Morrow; one daughter, Vandalyn Jo Bolay of Perry, Oklahoma; one granddaughter, Autumn Nicole Bolay of Perry, Oklahoma; sister-in-law; Elaine Zeighami, sister-in-law, Jane Hill and her husband George, all of Tulsa, Oklahoma; two nephews, James Hill of Tulsa, Oklahoma and Roy Zeighami and his wife, ZeZee, of McKinney, Texas; one great-nephew, Reed Braxton Zeighami and one great-niece, Aziza Bree Zeighami, both of McKinney, Texas. She was preceded in death by her father, Loren Groom, mother, Agnes Cook, step-father, Vern Cook and one nephew, Alex Zeighami.